Strandarhöfuð is a farm located on the south coast of Iceland, about one hours drive from Reykjavik. 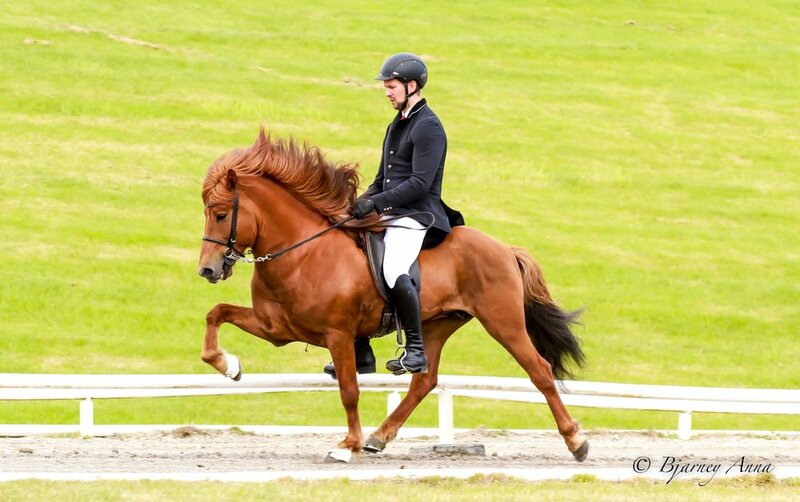 Standarhöfuð has been a horse breeding farm for many years but has only been run by current owners Guðmundur Már Stefansson and Auður M. Möller along with their family for 13 years. Guðmundur is a Consultant Plastic Surgeon and Auður is in charge of running the farm. Every year we get between 8-10 foals. We have been very fortunate with the offsprings , at the moment there are a lot of promising horses in training and some of them already successful competition and breeding horses. Our breeding goals are: To breed spirited high stepping “Gæðingur” meant for competition. We put a lot of emphasis on good temperament and clear gaits. When choosing a stallion for are breeding mares we look for these factors but also go by what our heart tells us. The main focus is not only on their rideability score but also their accomplishments on and off the track, bloodline and offsprings. Frægur frá Strandarhöfði has been competing in Meistaradeildin, Íslandsmót and Landsmót 2016. Scored up to 7,50 in V1 and 7,60 in T2 and has four 9,0 in his breeding assessment. Dökkvi frá Strandarhöfði scored 7,20 in his first competition in V1 and has two 9,0 and one 9,5 in his breeding assessment. Last year we showed 7 horses from our breeding. 6 of them got first price and the 7th was a 4 year old stallion who scored 7,90 shown as a fourgaiter. We have between 2-4 trainers working at Standarhöfuð, depending on the time of the year and at the moment our trainers are Ásmundur Ernir Snorrason, Stella Sólveig Pálmarsdóttir, Edda Rún Guðmundsdóttir and Matthía Elmar. All young trainers with a lot of experience in competition, from early childhood, and also accomplished riders in breeding shows. We look forward to your visit to our farm, to get to know more people who share the same passion as we do and to make new friends in the Icelandic horse world. Look forward to seeing you in Strandarhöfuð!"